Our Portland hotel is conveniently located just four miles from downtown Gresham, 10 miles from downtown Portland, and seven miles east of Portland International Airport. With easy access to many corporate offices and leisure activities, Four Points by Sheraton Portland East is the perfect location for your travel needs. Relax in one of our stylish Portland guest rooms and enjoy comfortable beds plus all the extras you’ll love, like fast & free WiFi and free bottle water. Get work done in our 24-hour business center or keep up your workout routine in our 24-hour fitness center. 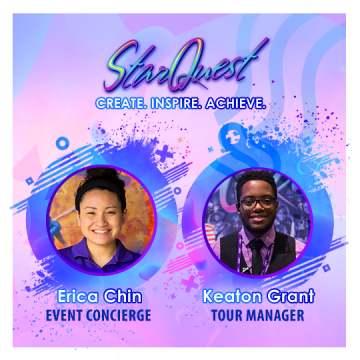 Book by this link or calling the Front Desk (503-491-1818) and ask for the “StarQuest Friends & Family” block! Our Marriott hotel in Vancouver, WA is the closest hotel to Hewlett Packard. SpringHill Suites Vancouver hotel travelers will appreciate easy access to PeaceHealth and Fisher Investments. Guest can enjoy visiting shopping and dining at Columbia Tech Center both within walking distance. Our award winning Marriott offers spacious suites perfect for enjoying an extended stay or a short weekend. We are an all-suite hotel that offers complimentary Wi-Fi, large work desks and cozy pull-out couches. In the morning, jump-start a busy day with our complimentary hot breakfast buffet. Our Vancouver, WA hotel features an indoor saltwater pool and well-equipped fitness center that can be enjoyed year-round. No matter what prompts your travel, let our Vancouver, WA hotel be the home base for your next visit. Book by clicking here or by calling 360-260-1000, be sure to mention you’re with StarQuest in order to receive the discounted rate. Bookings must be made by 4/10/19.